The basic design of the Palace is a circle. 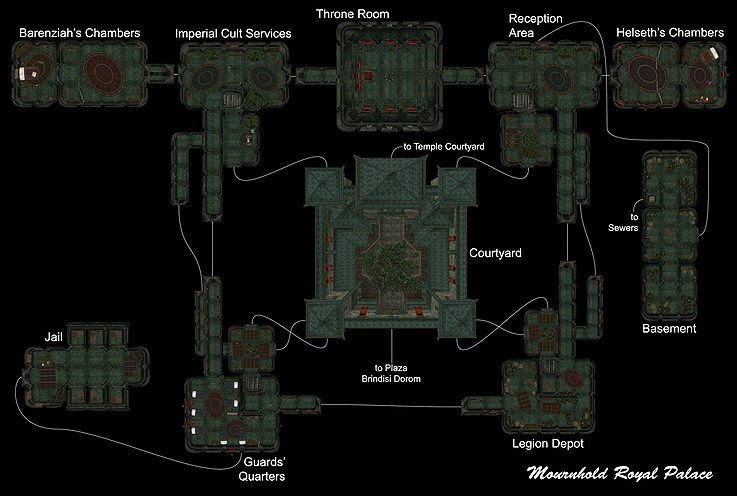 The Courtyard is in the center, while the Reception Area, Throne Room, Imperial Cult Services, Guard's Quarters, and Legion Depot form the perimeter. There are also several side rooms. The Queen Mother in her chambers. The Palace Basement isn't a very interesting room. A few containers with randomly generated loot. There is an entrance to the Palace Sewers, which might come into some sort of use. The only way to get into the basement is through the Reception Area. The center of the Palace is a small courtyard, strangely, since it is in the middle of the building, the courtyard is the only way to exit the Royal Palace with large gates leading to the Temple Courtyard and Plaza Brindisi Dorom. The smaller doors in the corners lead toward the Legion Depot, Guard's Quarters, Imperial Cult Services and the Reception Area. In the Courtyard are two Imperials: Calvus Horatius, a mercenary looking for work, and Plitinius Mero, an author. There isn't too much to see here. Aleri Aren is rumored to be Disloyal to King Hlaalu Helseth. There are some interesting notes next to Ivulen Irano's bed that seem to imply the same about him. The Guard's Quarters is connected to the Legion Depot, Jail, Imperial Cult Services and the Courtyard. Guards protecting the King's bedroom. 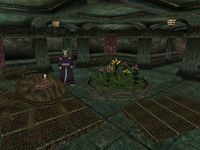 This is the living quarters of King Hlaalu Helseth, and it remains locked until Helseth makes an appearance in the Throne Room. Attempt to enter before that point, and you will get the message. "This door is locked from the inside and cannot be opened by any means." If you manage to gain entrance, you will find a pair of guards — Milvela Dralen and Ervis Verano. Helseth's Chambers are only accessible through the Reception Area. There isn't too much to see in here, besides a pair of priests: Crito Olcinius and Laurina Maria. They offer some services. 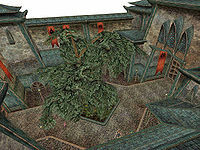 There are doors that lead to the Throne Room, Guard's Quarters, Barenziah's Chambers and the Courtyard. Two prisoners in the Royal Palace jail. Like any good Palace, there is a small jail for criminals and perhaps a few political enemies of King Helseth. 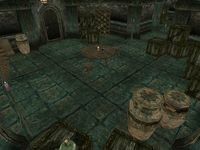 At first the jail should be basically empty, but it might eventually become home for a pair of Dunmer named Felvan Ienith and Olvyne Dobar who once fancied themselves as Warlords. There are a total of six cells. The Jail is connected to the Guard's Quarters. Only room of the Royal Palace with legion guards. Not anything too interesting in here besides a good bit of random loot, although not much of it is worth taking. It is connected to the Guard's Quarters, Reception Area and the Courtyard. You'll arrive here from Ebonheart. 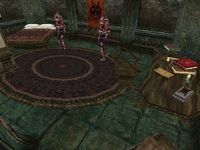 The Reception Area is the first part of Mournhold you get to see in Tribunal. 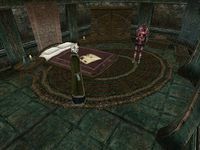 Besides the Argonian Effe-Tei there really isn't all that much in the room besides doors that lead to the Throne Room, Legion Depot, Basement, Helseth's Chambers and the Courtyard. His Majesty prefers to stand. This room is large and quite open, with a large Throne sitting on one side. 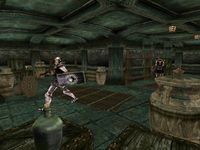 The room has several guards including Tienius Delitian, the Captain of the Royal Guard, who needs someone to help with quite a few quests. Eventually, King Hlaalu Helseth will turn up as well right in front of the Throne. He'll have more quests, including a duel against the Champion Karrod taking place in the Throne Room itself. The two doors lead to the Reception Area and Imperial Cult Services. Speak to the People: Learn of the local rumors surrounding the recent death of the previous king. A Temple Informant: Speak to people in the Temple to find out their true feelings about King Helseth. Disloyalty Among the Guards: Investigate the Royal Guards to search for evidence related to a possible plot against the King. Evidence of Conspiracy: Look into another possible plot against the king involving the former King Llethan's widow. Muckraking Journalist: Learn the identity of the anonymous writer of The Common Tongue. 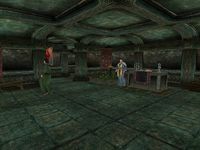 An Attack on Mournhold: Defend the Mournhold Plaza from a Fabricant attack. An Assassination Attempt: Discover a possible plot to kill King Helseth. Helseth's Champion: Prove your worth to King Helseth by dueling his personal bodyguard. A Show of Power: Further investigate the Plaza attack for Helseth by working for Almalexia.